Help us share the future of the Broward Center for the Performing Arts. Philanthropic gifts help ensure that the Broward Center will present world-class performances, provide transformative educational experiences and open the avenues of engagement with our South Florida community. There are many ways and many reasons to make a gift. 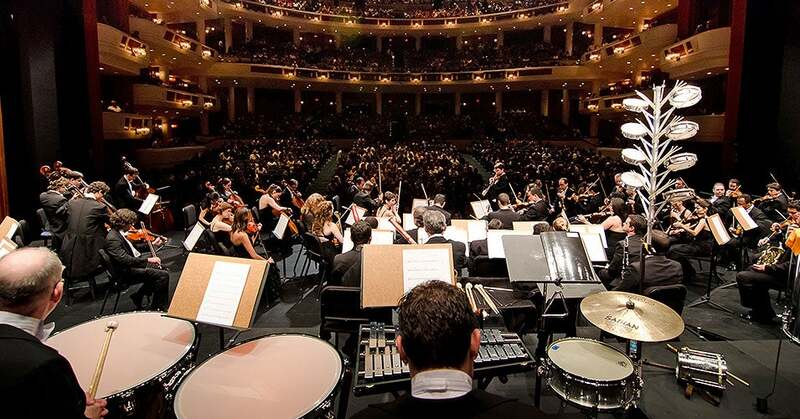 Whether you are an individual, a foundation or a corporate supporter, your gift will provide recognition as a donor or benefactor in one of the Center’s membership groups and help underwrite programming, education and the other mission-driven activities of the Broward Center for the Performing Arts. Contribute $50,000 ($10,000 a year payable over five years) and receive benefactor status and Patrons’ Circle benefits, including unlimited access to the Josephine S. Leiser Room. Click here for more information. Support artistic excellence and community engagement by underwriting a performance. Invest in our children. Support the Broward Center’s award-winning educational programs where the arts are used as learning tools for student achievement. Help us maintain the Broward Center’s rich history and stellar reputation for providing entertainment, education and cultural exchange to our South Florida community. For more information, call 954.414.6915 or email.